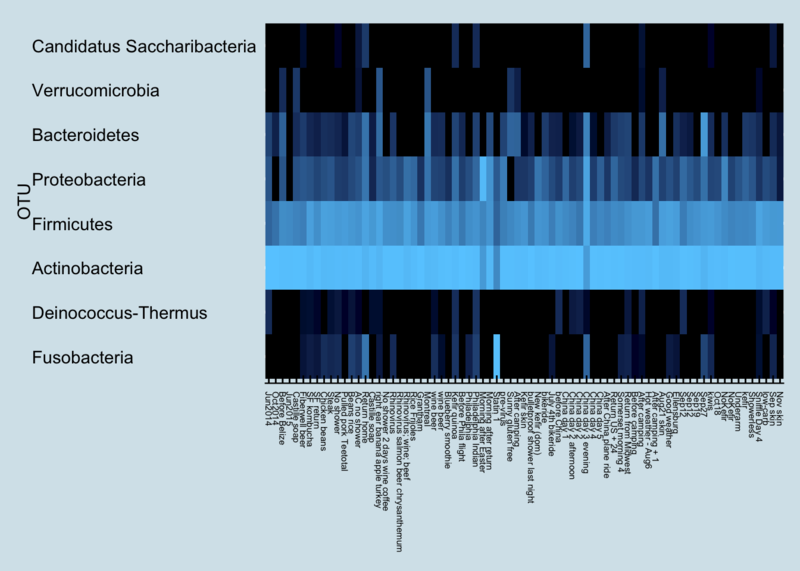 Microbes of the gut are important, but many other organisms are crawling all over you too. 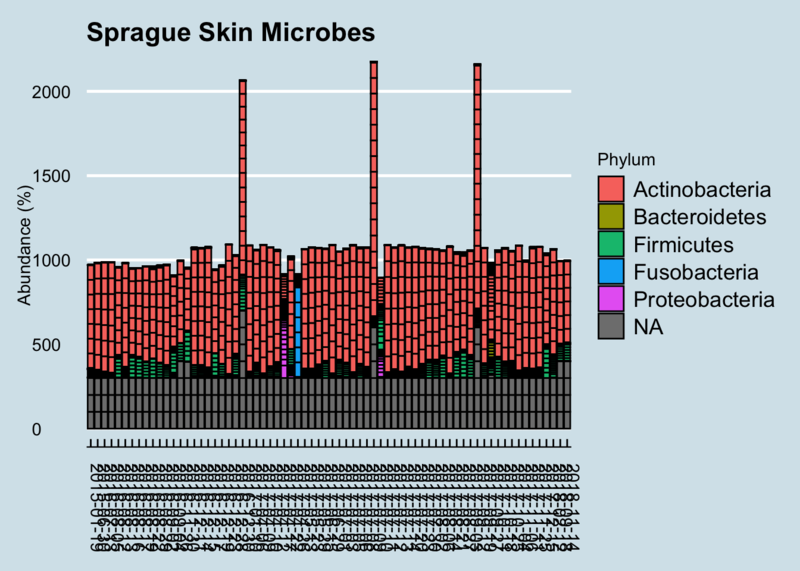 What can we learn from studying my skin samples? 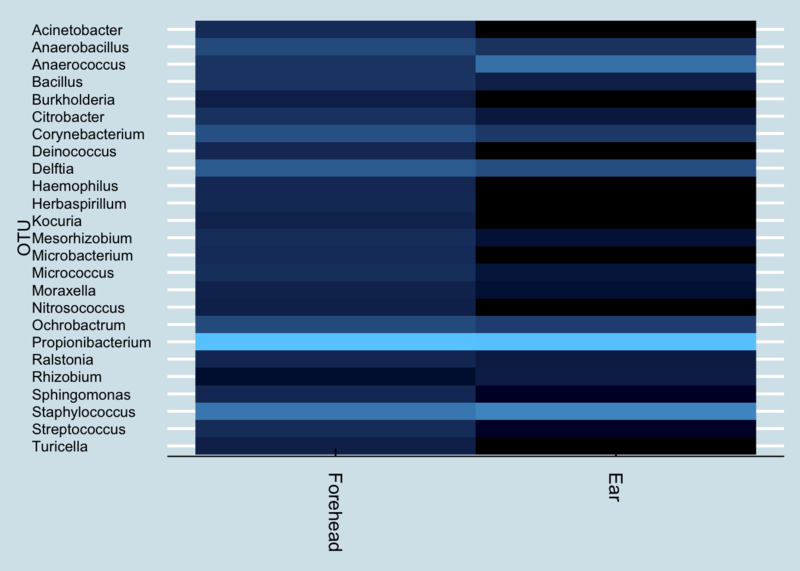 Like the gut, the vast majority come from only two genera. Is it just me? I also looked at the many other samples people have sent. 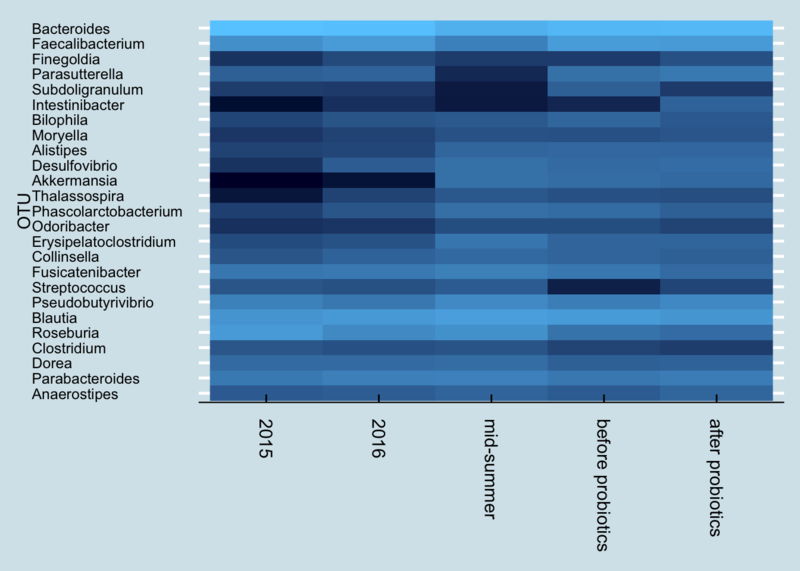 Like me, most of them are dominated by Actinobacteria and Firmicutes, with a tiny bit of Proteobacteria and even smaller amounts of others. 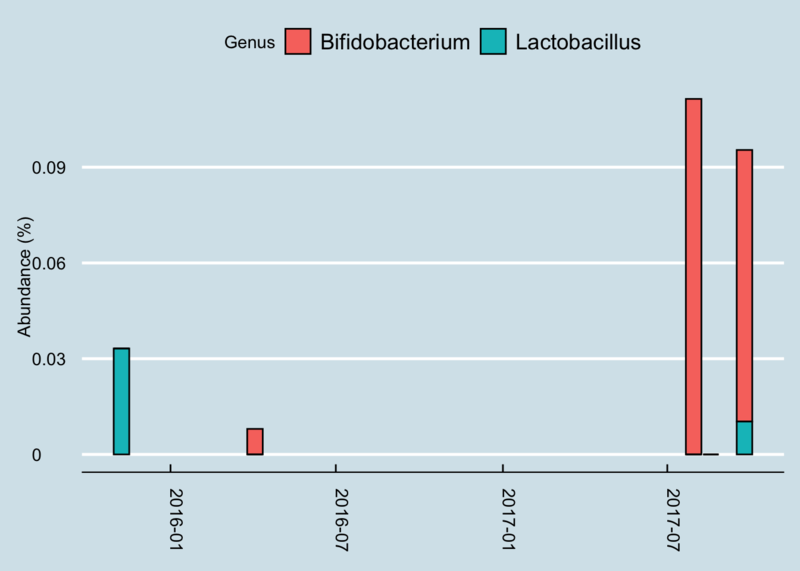 At the genus level, the vast majority are Propionibacterium and Staphylococcus, with an occasional spike of that smelly Corynebacterium. A recent paper published in Nature warned that several pathogens are lurking in common kitchen sponges. In particular, it noted the abundance of Moraxellaceae, a common skin bacterium. How much do I have? Apparently I have a small amount, depending on when I sample. 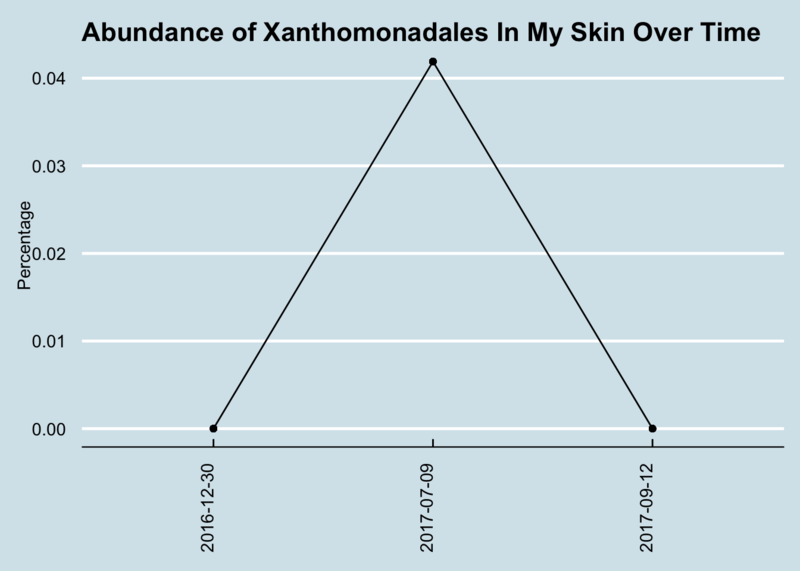 Figure 6.37: Levels of Xanthomonodales spiked for some unknown reason. Not sure what this could be doing. 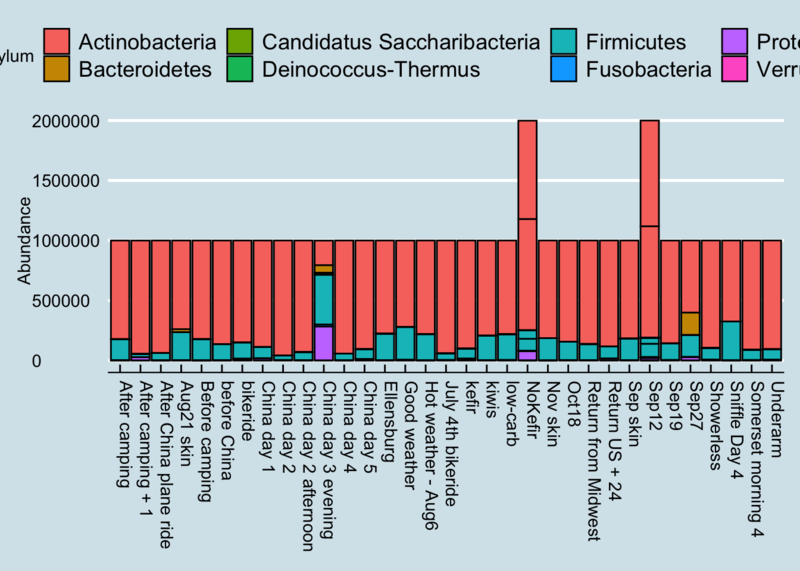 Figure 6.38: Skin microbes, phylum level, over time. 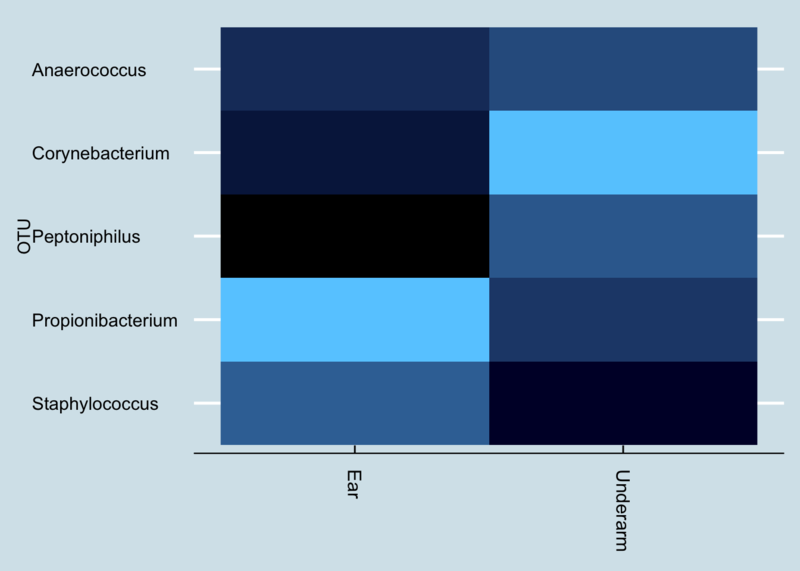 Once again, sampling site matters: there is a significant difference in the type of microbe behind the ear compared to the forehead. Incidentally, notice in the underarm the much higher abundance of Corynebacterium, which produces that distinctive smell of body odor.